Am I A Paid Shill? Denizens of the online are quick to decry those who question their views as ‘paid shills’. 69OpenYourEyes420 posts an angry comment on a Reddit thread about how the sheeple of the world need to wake up to the obvious truth that the world is controlled by the Diamond Pope from his lair in the earth’s core. PM_ME_UR_THESIS comes back with an innocent query about the boiling point of diamond and the possible temperature and pressure of the Earth’s core. Well, it’s clear that PM_ME_UR_THESIS is paid shill. Probably tasked with disseminating lies to hide the torrid truth of the Diamond Pope. 69OpenYourEyes420 comments as much, followed by a cohort of fellow DP truthers who quickly downvote the shill. Why won’t people wake up to the truth? For a few glorious weeks when I was 13, my history class studied the Kennedy assassination. We were set a project of creating an investigation-style dossier on what we thought happened – our own conspiracy theory, in a way. The Kennedy assassination seems like the first event which both caught the attention of the world and subsequently spawned its own cult of conspiracists. Coincidentally (or not – remember, nothing happens by accident in the world of conspiracies) the most enduring conspiracy also involves Kennedy. Kennedy’s speech invigorated a nation and set them on the path to one of humankind’s crowning achievements. Or did it…? If JFK’s assassination was the appetiser which started the 20th century conspiracy meal, then surely the Moon Landing was the rich, creamy main. The enduring appeal of debunking the most important event of the millennium coupled with the religious fervour with which arguments are presented and attacked, makes for a meaty dish indeed. I’m going to tell you a story. When I was 12 I went on a school ski trip to the French Alps. While skiing one day I found what I thought was an empty, pristine slalom run. Naturally, I whipped and sizzed through the turns, clipping the plastic flags as I gained speed. As I approached the bottom of the run I heard a growing noise of people, whistles and cowbells – I skied into the finish area of a Skiing World Cup slalom event. I was so scared that I was about to get chewed out by the event organizers but instead, I was approached by a beaming man who shook my hand, followed by a pretty blonde who placed a gold medal around my neck! I had somehow skied myself into first place in the World Cup! Now, let’s ask ourselves: ‘what is more reasonable?’ Is it more reasonable to assume that I did win an accidental gold medal for slalom or that the whole thing never happened? When it comes to my skiing story, it’s far more reasonable to assume that I made it up. It just makes the most sense. So, I do understand where the moon landing conspiracists are coming from. Only a few days ago I found myself thinking of the absurdity of spaceflight and landing on the moon. It’s ridiculous! We put humans in metal tubes, made a large explosion under them and then left the planet to go into space. Is it more reasonable to assume we didn’t go into space at all? If we just view the base options that either we did or didn’t go into space, then it’s quite easy to err on the side of the conspiracy. On the other hand, once we’re presented with all the evidence and accounts of the space program, it becomes more reasonable to assume we did indeed leave the confines of our atmosphere and brave the cold expanse of space. Let’s apply the ratio of reasonable:unreasonable to other conspiracies. For example, is it more reasonable to assume that the earth is round or flat? Is it more reasonable to imagine that terrorists planned 9/11 or that the US government perpetrated the act? Vaccinations? Illuminati? The moon landing conspiracy holds up somewhat to the ratio of the unreasonable, but the flat earth does not. Perhaps this is part of the appeal of the recent flat earth and anti-vax movements: their absurd lack of reason appeals to those who believe the world itself to be largely without reason. Let’s bring this to an end by looking at the people who love conspiracies. I’ve known a few of them in my time and although most of them were generally decent enough human beings, I think one factor links these people: uncertainty. The world is a strange place and our existence within it is stranger still. From the chaotic hazards of puberty to the anxieties of adulthood, our lives can be utterly impossible to figure out at times. 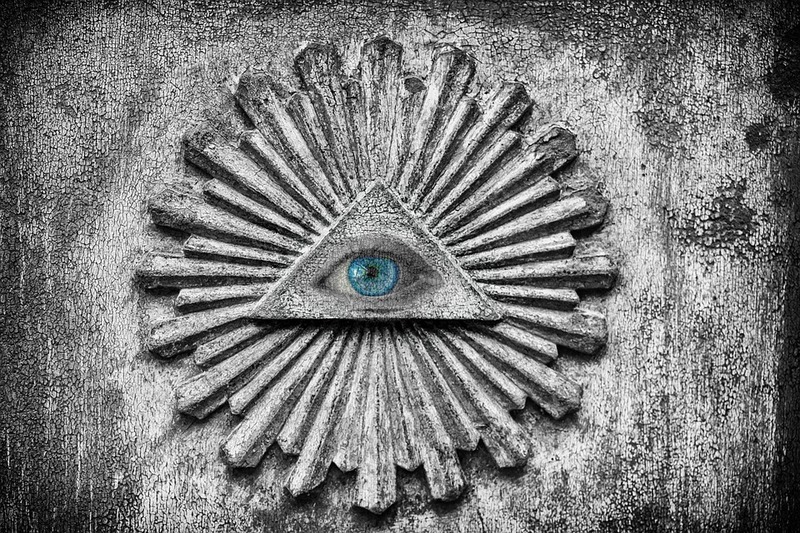 Conspiracists seek to negate this uncertainty by being absolutely certain that the illuminati control the world, that the world is flat or that the government is spreading population-controlling chemicals with chemtrails. Not only do conspiracies provide a concrete certainty, but they also give conspiracists a sense of security. Of all the billions of people inhabiting the globe (or disc), only you and a relative handful of others know the truth. You are special. I’m sure that we will not only see new conspiracy theories cropping up soon, but also an increasing abundance of them. The world is a scary place and for some people it only seems to get scarier. They will turn to their theories for solace, security and surety. The rest of us will get on with things as we always have done. When Will We Travel Interstellar?